The Life In A Day single was issued as a taster for the forthcoming album and the band's first UK tour supporting Magazine. Its release also coincided with their first TV appearance on The Old Grey Whistle Test. The master tape was cut at The Townhouse on the 4th March 1979 by John Leckie and George Chambers. The lacquer was then cut at Abbey Road Studios. The title track was copied from the album master tape. The B-side was the album out-take Special View which was recorded during the album sessions. It remained unique to this release until the X5 boxset of 2012. The packaging was exceptionally plain and just featured the band's name and the single's title. Most of the pressings also featured red die-injected labels but some copies had light blue labels instead. The single was also released in Germany with a different B-side and different sleeve. This featured the band picture from the back of the LP sleeve. A single by US-based PVC Records was rumoured, but no copies have ever surfaced. It could be a UK version with promotional sticker - like this copy of Chelsea Girl. Its success (a lowly 62 by today's standards) led to the much glossier packaging of the next single Chelsea Girl. 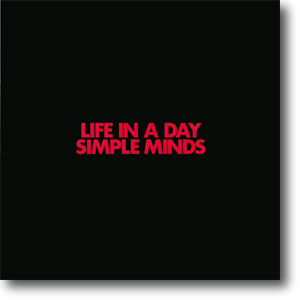 It was the first commercial pressing to feature the name Simple Minds.